Who are the Iteso People in Kenya? Iteso traditions relate that they originated somewhere in what is now Sudan and moved south over a period of centuries. It is not possible to calculate the time of this movement. A body of Iteso is said to have separated from the Karamojong and moved further south. Unlike the other Teso-speaking ethnic groups, the Iteso have never been transhumant or nomadic; agriculture has played as significant a role in their social, economic, and expressive lives as cattle have among the other groups. 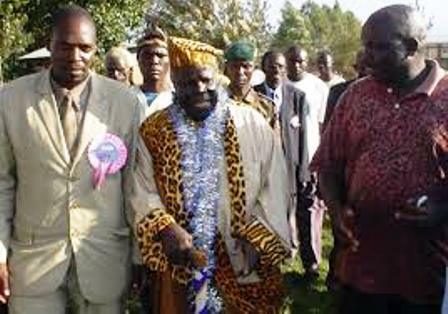 Iteso clan names reveal a history of long-standing ethnic interactions. Names of Bantu and Northern Nilotic origin are found among them. 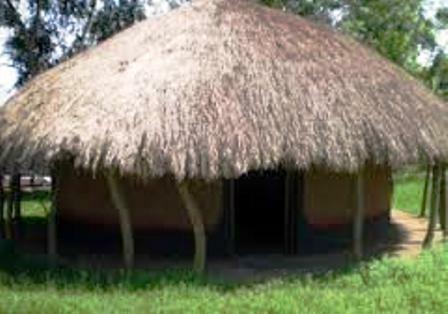 The Iteso were probably well established in their northern Uganda heartland by the mid-eighteenth century, when they began to move farther south. The history of the Iteso and neighboring peoples has not been extensively documented. Traditions recorded among the JoPadhola indicate there were two waves of Iteso migration. The first was family based and peaceful. It was followed by a more extensive and aggressive migration that left the Iteso in control of a large swath of territory that by 1850 extended as far as the western highlands of Kenya. European travelers record extensive fear of Iteso warriors; nonetheless, the Iteso soon suffered reverses that caused them to draw back to their current territory in Kenya. Since then, the Northern and Southern Iteso territories have been separated. Relations with other societies throughout the precolonial period were alternately peaceful and acrimonious. As a result of spatial intermixture and intermarriage, Iteso elements and customs can be found among neighboring peoples and vice versa. Intermarriage has always been extensive. It is likely that ethnic identity hardened during the colonial period, as it has since, when resources such as land were newly defined as belonging to "tribes." The Iteso in Kenya and Uganda were conquered by African colonial agents of the British and indirectly ruled through them. Western Kenya was transferred from Uganda to Kenya in 1902. As a result, the economic and political histories of the Northern Iteso and the part of the Southern Iteso living in Kenya have taken vastly different courses. At independence, the Ugandan Iteso were far more wealthy than their Kenyan counterparts. This difference resulted from the status of Uganda as a protectorate reserved for "African development" and Western Kenya's status as a labor reserve for the European-owned farms in the "White Highlands.
" 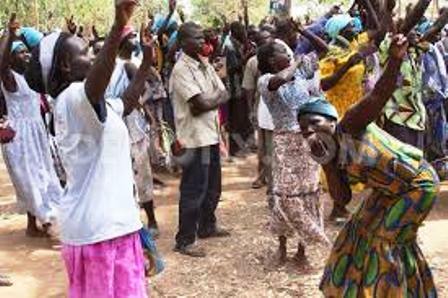 As a minority people in Kenya, the Iteso are not well known and have been viewed with some suspicion by surrounding peoples. On the other hand, the Kenyan Iteso have not suffered from the political destabilization in Uganda since 1970. Events in the colonial period and since have elaborated cultural differences among the Iteso that were regional in origin. The language of the Northern Iteso, for example, was extensively influenced by the Baganda people, who ruled the Iteso on behalf of the British colonial regime, whereas that of the Southern Iteso is in some ways closer to Turkana. 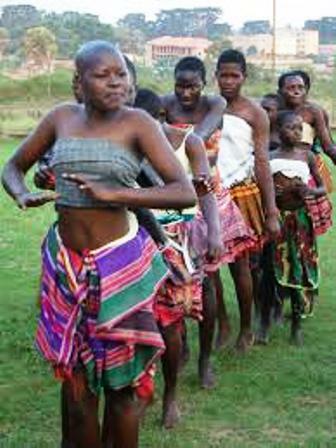 As a result of living among Bantu- and Nilotic-speaking peoples, the Southern Iteso have probably been subject to a greater variety of cultural influences. The economic infrastructure is far more developed in Kenya than in Uganda, and cash income is also higher, reversing a pattern found in the 1960s. The Kenyan Iteso undertook considerable labor migration: most men between the ages of 60 and 80 have worked outside their home territory; many served in places such as Burma during World War II. In the early 1980s government-sponsored cooperatives that ran cotton ginneries in western Kenya failed to pay for cotton delivered by the Iteso and others. Consequently, they began experimenting with new cash crops, such as tobacco, grown with the aid of loans from large agricultural companies. In the early 1990s there was a partial revival of cotton growing, and the ginneries have been resuscitated. Eleusine (finger millet) and sorghum are major food crops. In the 1920s colonial officials introduced cassava as a supplement to these staples and as a famine-relief food. Cassava, which the Iteso cook with finger millet and sorghum, is planted in fields that would otherwise be fallow. Women grow vegetables in gardens next to their sleeping houses and gather various wild foods, especially mushrooms and flying ants, a delicacy. Men herd cattle, and the grazing of animals was regarded as a commonly held right until the late 1960s and early 1970s; there have been conflicts over the right to graze since then, and some people have fenced their fields. The primary cash crop was cotton, which was grown by men and women in separate plots (and for individual income) during the short rains. As a result, the labor demands for cash crops did not conflict with demands for subsistence farming. Many households have teams of oxen and plows; others trade their labor for the use of a richer household’s teams. Newly introduced cash crops such as maize and tobacco are grown during the long rains and have caused considerable concern about how people will manage the conflicting demands of cash and subsistence farming. The primary commercial activities are trading in cattle, owning small shops, and (in Kenya) employment in such public-sector jobs as local administration and school teaching. Marriages are defined from two points of view: they are alliances between spouses but also between two exogamous clans. The first alliance is evident in the practical arrangements of setting up a household, and the second is expressed in ritual and healing practices. More than one-third of all men and a majority of all women are married polygynously. 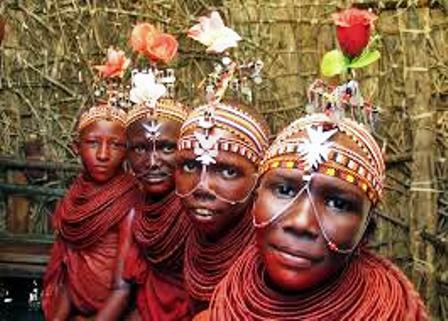 Although the number of men with four or more wives has decreased since the precolonial and early colonial period, it is possible that the total number of people married polygynously is increasing in the rural areas, as in many other Kenyan societies. The amount of bride-wealth has remained the since the mid-twentieth century, but the time taken to hand over the ten to fifteen head of cattle has changed, from almost immediately after the birth of the first child to an extensive period of more than twenty years. Postmarital residence tends to be virilocal for women and neopatrilocal for men, who soon move into a new home on family land. Divorce is rare; even marriages said to end in divorce are often reconciled when the estranged wife returns after an extended period of time. Bride-wealth helps constrain the incidence of divorce because a man who receives cattle through his sister’s marriage would have to return the bride-wealth (on which his own marriage depends) if her divorce were finalized. The result is a series of disrupted marital exchanges. The Iteso live in territorial units of increasing scale: the household; the neighborhood; government-defined units (the headman’s area and the sublocation); the location (headed by a government-appointed chief); and the division, which also tends to correspond to the constituency for the Iteso member of parliament. 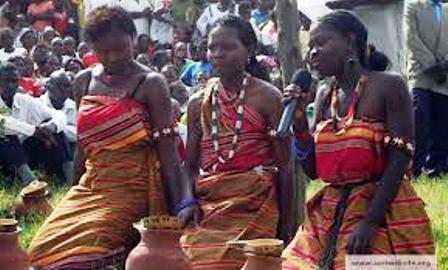 In addition, the Iteso of Kenya recognize three dialect groups, which have had different external cultural influences. The precolonial Iteso were organized into territorial units called itemwan (“fireplaces”—called “sections” in the anthropological literature; sing. item ), which were the largest-scale political units and were organized for defense and political expansion. An itemwan may have been led by a successful war leader. The age system appears to have been extremely different from one part of the Iteso territory to another. One constant element was the rituals associated with retirement from the status of elder. After performing them, retired men could no longer marry and were believed to have privileged access to the divinity. Women’s forms of social organization include special, ritually defined friendships, labor cooperatives, groups formed to heal illness caused by spirit possession, and, since the mid1980s, church groups. The Iteso believe in a divinity with different aspects, variously called akuj, “high,” or edeke,“illness.” Other entities in their pantheon included the Ajokin, little spirits of the bush, who invited people who met them to feast, providing they kept the invitation a secret. Under missionary influence, the Ajokin have come to be identified with the devil. Ipara, spirits of the dead, figure prominently in their lives, but there are no special shrines for propitiation. The Ipara are selfish and do not enforce good behavior so much as demand propitiation. When they possess people, the Ipara bring with them exotic spirits from other cultures who harm or make ill the people possessed. Catholic missionaries have had considerable influence among the Iteso, and almost all of them had been baptized by 1990. At death, the body is separated from its eparait (spirit), which goes to live in the bush. The spirit ideally moves deeper and deeper into the bush, but in practice many spirits return to bother the living. Spirits of the dead are greedy: they require offerings of food and drink. As a result of mission influence, spirits of the dead have come to be associated by some Iteso with the Ajokin, little creatures of the bush, and both of these have come to be associated with the devil. The skeletons of dead people are exhumed after a number of years so rituals can be performed to “cool” them and make them more kindly disposed to the living. Older Iteso are very concerned that their children will bury them in coffins and prevent this practice, thus suffocating the dead in the earth.